Two cars. 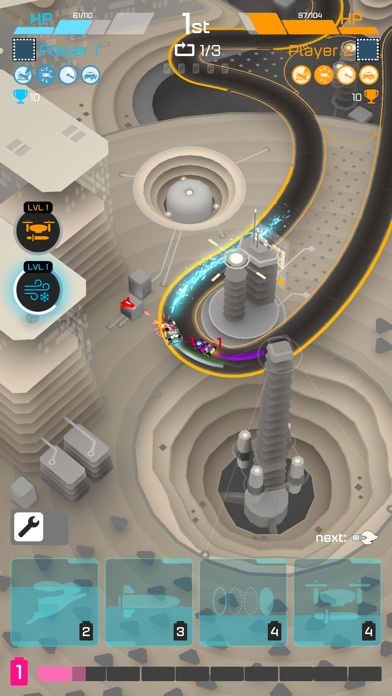 One race track. And a whole arsenal of power-ups. Welcome to the dynamic racing world of the future. The first car across the finish line wins the race – that's how racing was and that's how racing will always be. Yet with ever-faster cars and perfected racing lines, motorsport soon became too predictable. 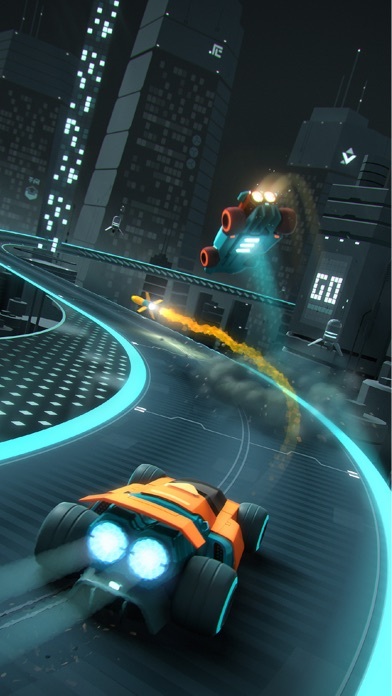 In a bid to bring fun back to the sport, ways of combat, subterfuge, and special abilities were added to the cars. 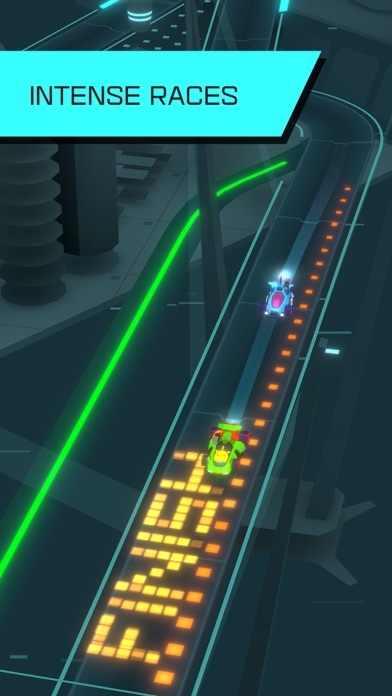 A new game emerged where it's not only the fastest who wins, but the most cunning: Enter Hyperdrome. 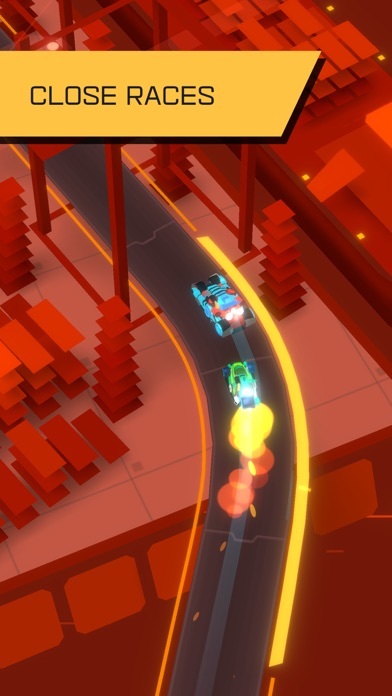 INTENSE 1V1 DUEL RACING It's not just racing anymore – it's Tactical PVP Battle Racing. 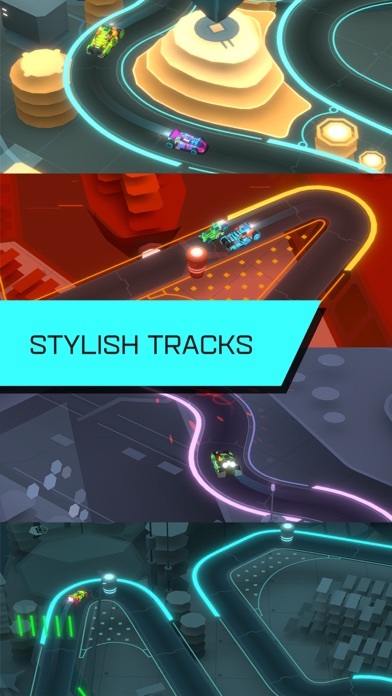 Hyperdrome puts a twist on the genre by removing steering controls in favor of tactical abilities. Outsmart and outpace your opponent to win. Whether you're a rolling bastion, all about the epic counter-move, or just like to go full wipeout – we've got you covered. Clash with players from all around the world and race your way to the top. 34 WAYS OF DOMINATING YOUR OPPONENT Craft your own strategy by equipping the eight power-ups that best suit your playstyle. 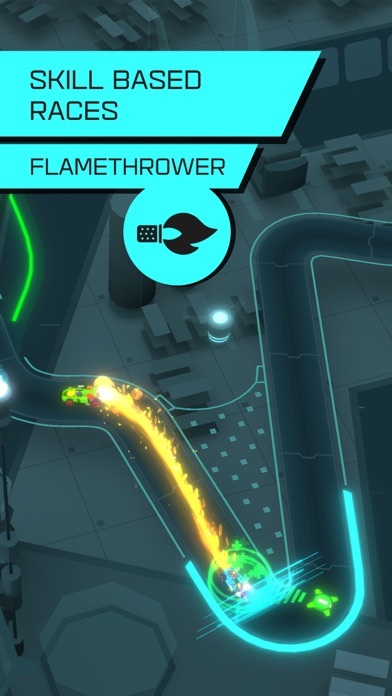 Then punish your next opponent for bringing a gun to a flamethrower fight. 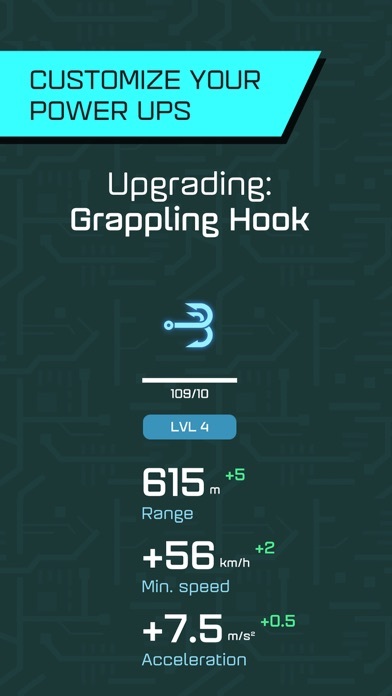 Collect, unlock, and upgrade your favorites. 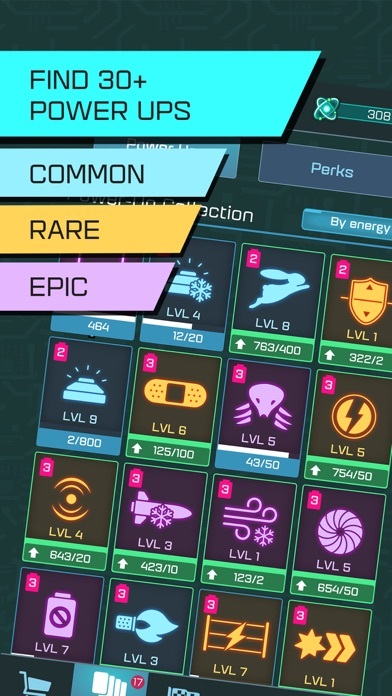 Choose from 34 unique abilities with even more to come. You can teleport ahead, lay tactical mines, or just let your combat drones do the hard work. We won't judge. As long as you're winning. GARAGE Choose from a pool of cars and select the vehicle that suits your playstyle best! Fast, armored or maybe you prefer an All-rounder? 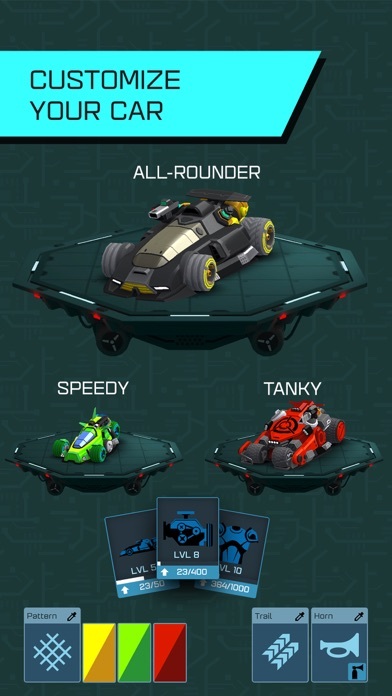 You can customize each vehicle individually! Change anything from your vehicle’s components or colors all the way to designs and start the race with your personal car. Dominate your opponent and mock them with your horn! FINISH IN STYLE The future looks sleek. Burn rubber on one of four stunning racetracks and marvel at the kaleidoscopic visuals of tomorrow. Complete with a thumping soundtrack that's sure to make you raise your hands in the air – if only you didn't need them for playing! Crushing your friends has never felt better. The race is on. 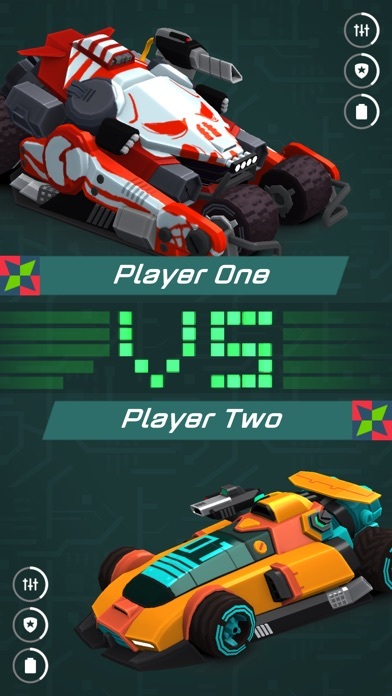 Features: • Tactical 1v1 PvP battles • Worldwide matchmaking • 34 unique power-ups • Customize your cars • 6 action-packed race tracks • Spectacular, futuristic visuals • Wicked soundtrack tailored to each level And non-stop, nerve-wracking, breathtaking fun.